Our vision as a church is to become a community known for breaking barriers to encounter Jesus together. 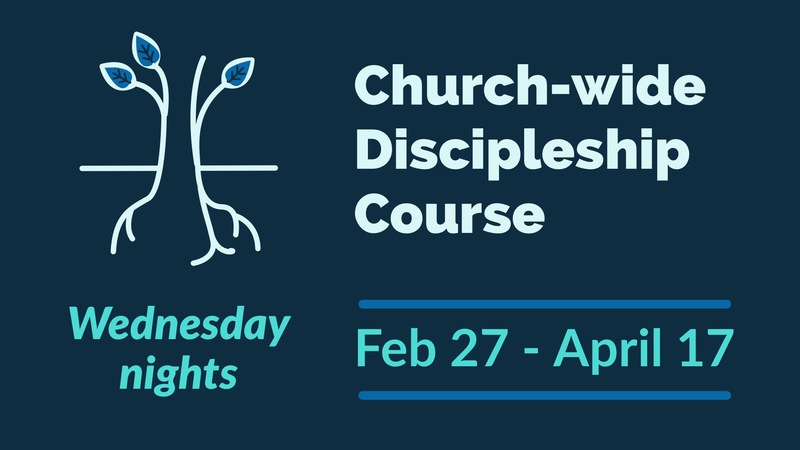 The Spring discipleship course is meant to help us break personal, relational and social barriers in order to encounter Jesus together in life-changing ways. Relational health is one of the primary marks of followers of Jesus (consider the fruits of the Spirit in Galatians 5:22-23, which are all interpersonal in nature). Jesus staked the mission of God on the depth of genuine love demonstrated among His people (see his stunning words in John 17:23). Yet most of us lack the necessary mindset and skills to handle conflict, tension and misunderstandings in healthy ways. We have been discipled, so to speak, in the broken relational patterns of this world and need to be re-discipled into the healthy relational patterns of the family of God. John 13:35: “By this all people will know that you are my disciples, if you have love for one another." Loving well and being equipped to make (rather than merely keep) peace is central to our growth in maturity as disciples. The barriers are strong but God’s promises are stronger. Please join us as we intentionally pursue this kind of growth together this Spring. What is the same and different about the Spring Discipleship Course? The structure and “feel” of the course will remain the same. We will once again gather on Wednesday evenings from 7-8:30pm for eight weeks (2/27-4/17). The alternate Sunday course will meet from 8:15-9:45am for eight weeks and begin on 2/24. Pastor Scott and Rachel will once again facilitate a combination of video, reflection and discussion-based content. However, we will be basing our course on the “Emotionally Healthy Relationships” series from New Life Fellowship Church. Pete Scazzero and his wife, Geri, will provide practical training on maintaining healthy relationships and embracing courageous peace-making when relationships experience conflict. Why are we still doing this centrally as a church, rather than within our MCs? Put simply, the unprecedented level of involvement with the Fall Discipleship Course objectively suggests that this format offers the greatest potential for church-wide participation this Spring. As we said often in the Fall, there is something uniquely transformative about a shared experience. Pastor Scott and Rachel will continue putting significant time and energy into preparing for the sessions, tailoring the content to our church’s specific culture and needs. As such, certain exercises, questions and Biblical content will receive greater emphasis. These dynamics would be almost impossible to replicate across nine different MCs. If I didn’t participate in the Fall, can I still do the Spring Discipleship Course? Absolutely! While there is a bit of overlap with the Fall content, the Spring course is almost entirely distinct and does not require knowledge of our previous course. If I already did the Fall course, do I really need to do the Spring? Absolutely! The Spring course is not a “review” of the content we’ve already covered. See the “why” question above for the specific focus of this upcoming course. Childcare will be provided, free of charge, each week. So feel free to bring the kiddos!